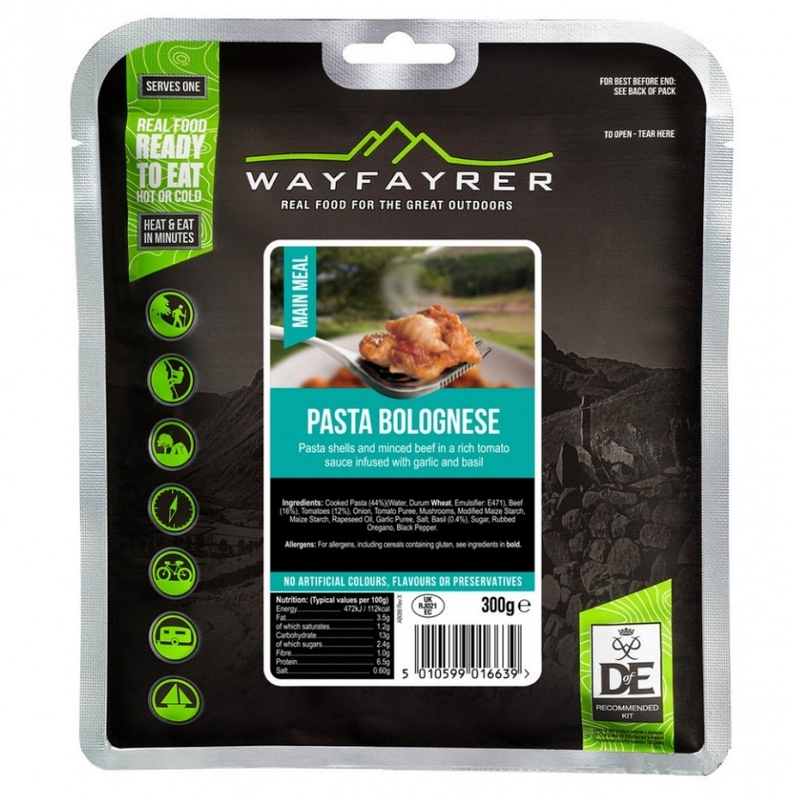 Wayfayrer Pasta Bolognese - Conchiglie Pasta and Minced Beef in a rich Tomato Bolognese sauce infused with Garlic, Basil & Oregano Real food, ready to eat - The contents are fully cooked and so may be eaten hot or cold. 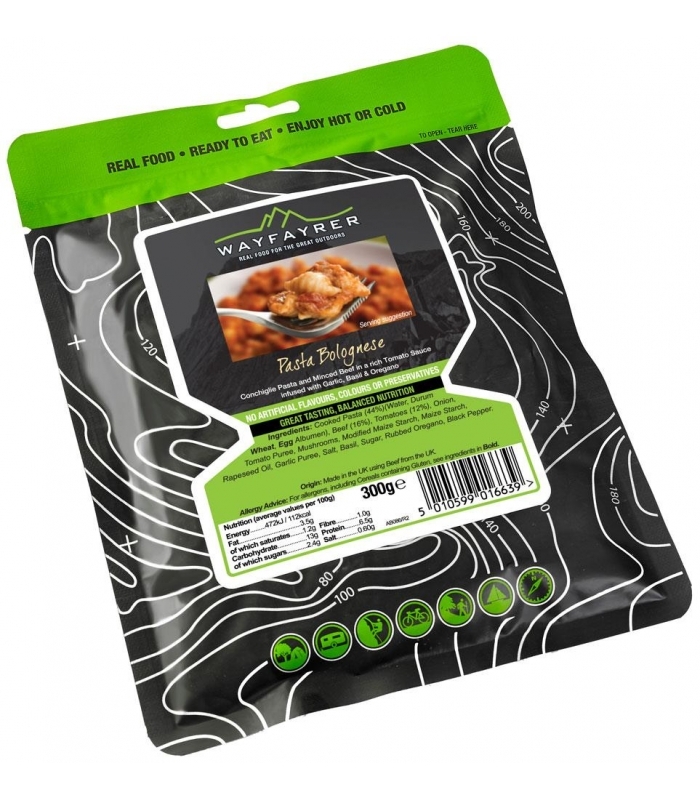 Wayfayrer meals provide a substantial meal and satisfy the heartiest of appetites whilst camping, walking, climbing, sailing and all other outdoor activities. 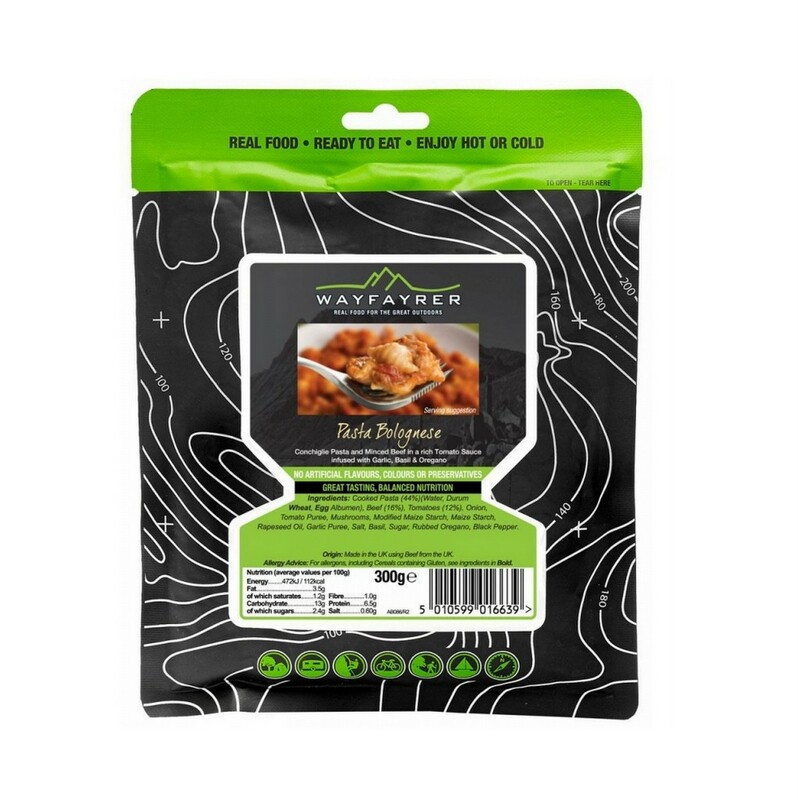 These tasty, pre-cooked meals are easy to carry, simple to prepare and can be served hot, after immersing the pouch in boiling water for seven to eight minutes, or eaten cold. To serve hot : Place unopened pouch in boiling water for 7-8 minutes. 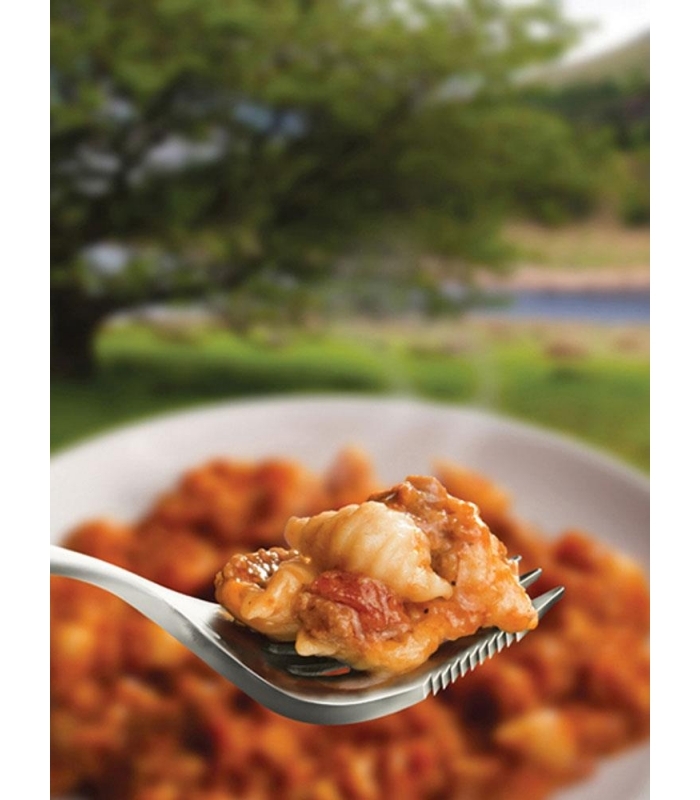 Alternatively empty the contents into a suitable saucepan and stir gently whilst heating thoroughly on a camping stove. Storage : Store unopened pouch in cool, dry conditions. Shelf life : 3 years from date of manufacture.